The first in the new Ghosts of the Shadow Market series. The Lightwoods, the Shadowhunters who run the New York Institute, are expecting a new addition to their family: the orphaned son of their father's friend, Jace Wayland. Alec and Isabelle aren't too sure they want a new brother, and their parents are not assuaging their fears, too occupied with the dark news that Raphael Santiago, second-in-command of the New York vampire clan, has brought from the Shadow Market. "This fast-paced fantastic thriller will keep readers on the edge of their seats." "New York is the city that never sleeps — but evil spirits, angels, warlocks, faeries and shadowhunters don't need much rest anyway. The city is home to Cassandra Clare's young-adult debut novel, a cool, pleasingly dark and spicy urban fantasy called City of Bones." "A smart, funny, romantic read." Cant wait to read all the other books. its nice to see when other things happened in the storyline. Love, love, love itttttt❤️❤️❤️ I can’t wait to read the rest in the series. 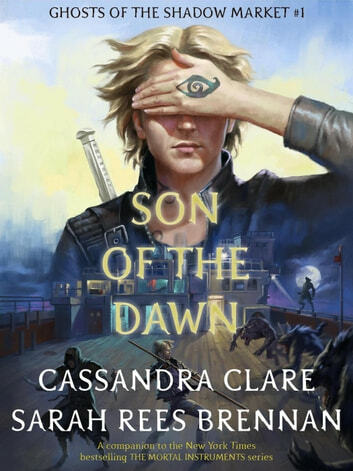 Cassandra Clare, my favorite author.I definitly didn't know this serie existed till I read this book... And it's just amazing! Typical Shadowhunter story - lots of action, mysticallity, and a touch of romance. Only drawback is it is too short- you just get started and it is over. Cassandra Clare amazing as always!!!!! Never a dull moment, finally finding out about Jace was amazing!